In their arsenal to arrest drunk drivers throughout Arizona and intensely in crowded Phoenix and Maricopa County, law enforcement agencies have a not-so-secret weapon -- the phantom sobriety checkpoint, a ruse but still a trap. Unlike a genuine checkpoint with vehicles lined up on a busy road and officers stopping every other vehicle and questioning drivers for an average of 25 seconds in an attempt to see an open container or sniff for alcohol or drugs, a phantom checkpoint is merely a sign that’s used for real DUI checkpoints indicating that the checkpoint is a short way ahead. However, it’s only the sign, not a full blown checkpoint. Authorities usually will have a vacant police car parked nearby or place a trailer near the sign to make the event seem real. But nearby and out of sight is a patrol car or two staffed by officers. Police use the phantom checkpoint as a dummy to see who will make an abrupt turn or turn around apparently to avoid it. Such a move gives an officer the green light to follow the skipping driver and find a reason to make a traffic stop. Other simple infractions could also lead to you being pulled over. These moves give police the necessary probable cause or reasonable suspicion to make a traffic stop. Law enforcement also uses phantom checkpoints as a way to draw public attention to the pitfalls of impaired driving. Beyond the public relations and awareness aspects, phantom checkpoints can avoid violating constitutional search and seizure rights by establishing reasonable suspicion or probable cause to make the stop. Sobriety checkpoints and the phantom signage version are perfectly legal in Arizona and in most other states. The legality question of sobriety checkpoints reached the US Supreme Court from a Michigan case. The justices in a split 6-3 decision announced in June 1990 that sobriety checkpoints don’t violate the US Constitution’s Fourth Amendment, the protection from unlawful searches and seizures, or the Fourteenth Amendment’s equal protection under law. If you happen upon one of these phantom checkpoints in Phoenix, AZ my advice is to keep going and don’t divert from your route. Be careful not to violate any traffic laws because you likely will be under surveillance by an officer watching the phantom DUI checkpoint. Should you be detained you will be invited to incriminate yourself. The officer will say something such as, “Have you been drinking this evening?” Lying to authorities is against the law. It also reveals a consciousness of guilt. The best thing to do, and it’s vital that you politely assert your constitutional right to remain silent. That’s guaranteed by the Fifth Amendment. You’re also entitled to be represented by an attorney during questioning. Observing these precautions may have a significant bearing on winning your case. The officer, if he has probable cause such as smelling alcohol on your breath, will ask you to take a field sobriety test. You have a legal right to refuse and your refusal cannot be used in court. Arizona DUI law determines if a conviction is either a misdemeanor or a felony based on the level of a person’s blood alcohol concentration (BAC). The legal limit in Arizona is 0.08 BAC but higher levels are more serious. A BAC of 0.15 is charged as an extreme DUI and 0.20 BAC is super extreme DUI. Felony DUI also can be charged in aggravated circumstances. A class 6 felony, the lowest in this class is charged if the impaired driver had a person younger than 15 in the vehicle. Other more serious charges are levied if the driver had a suspended, revoked, or restricted driver’s license or if the driver was supposed to have an ignition interlock device on the vehicle. Other circumstances are if the driver had a record of other DUI convictions or while intoxicated injured or killed someone or fled the scene of a crash. Beyond the possibility of incarceration and substantial fines that the judge decides, a felony conviction also means you can’t own or possess a firearm and you can’t vote in elections. Keeping your job or finding work may also be difficult and those who have professional certifications face suspicion or revocation. Also, Landlords may not rent you a place to live, and colleges may choose not to admit you. If you’re arrested after avoiding a phantom checkpoint don’t just give up and think “just plead guilty and get it over with.” You may have a legal reason to fight the charge and clear your name. You’ll need the counsel of a qualified Phoenix DUI Lawyer to ensure your rights are protected not only at the traffic stop but in all subsequent legal proceedings. The attorney will study the evidence against you and search for procedural errors made by police by conducting an independent investigation with help from a qualified professional defense investigator. Unlike large firms that want as many cases as possible I represent a limited number of clients at any given time which allows me to give each of my clients personalized service. 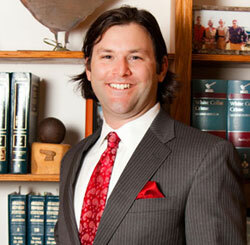 Contact Phoenix DUI Defense Attorney Aaron Black or call (480)729-1683 for a private telephonic consultation. There’s no obligation to hire me to defend you to get legal advice.